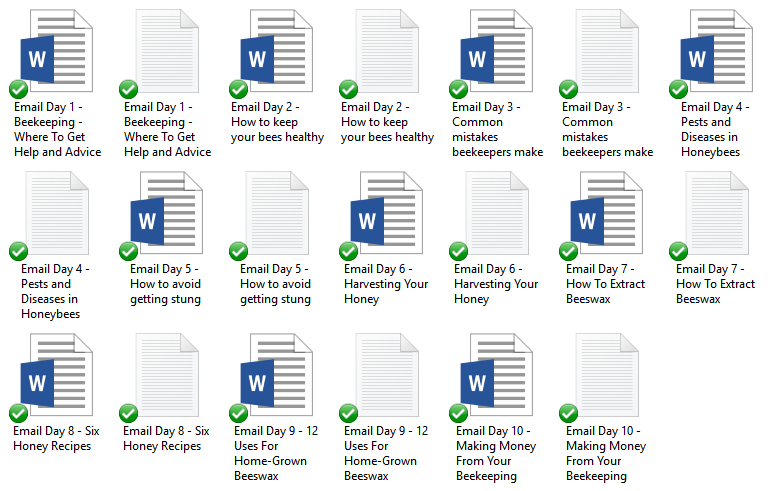 In this Pre-Written Beekeeping Content bundle – articles, a report compiled of the articles, keywords, and royalty free images, you’ll be able to give your audience on how to keep your bees healthy. There are a lot of places today in which to learn about beekeeping as keeping your bees healthy is largely up to nature. Help educate your audience on how to avoid making mistakes on keeping bees. If you really want to be a beekeeper, then check out this bundle. 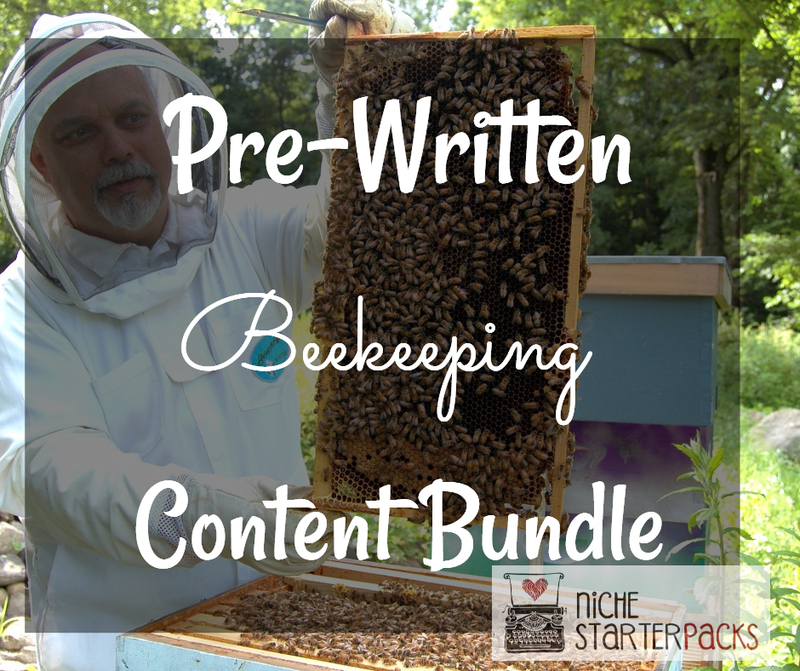 Pre-Written Beekeeping Content bundle will help you bring in traffic and readers to your blog because you’ll be talking about topics that people are searching for – successful beekeeping. People likes to know how to manage their bees. Also let’s help them how to avoid getting stung. Knowledge on keeping bees is a must. They need a site that talks about how to keep their bees healthy. They can use this information to learn how to manage and keep the bees at best. The Pre-Written Beekeeping Content bundle will help you teach your audience about how to to take care of bees correctly and safely! 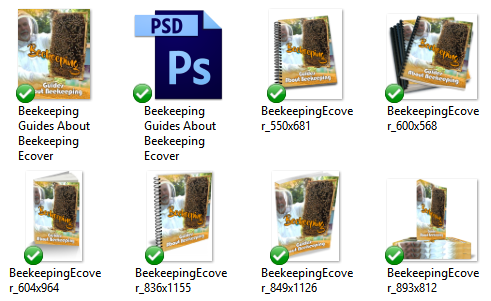 Pre-Written Beekeeping Content Bundle (Articles, Report, Royalty Free Images, Keywords) – Get It All For $37! You’ll get a 19-Page report all about beekeeping. This is a great opt-in because it talks about effective ways to produce healthy bees. 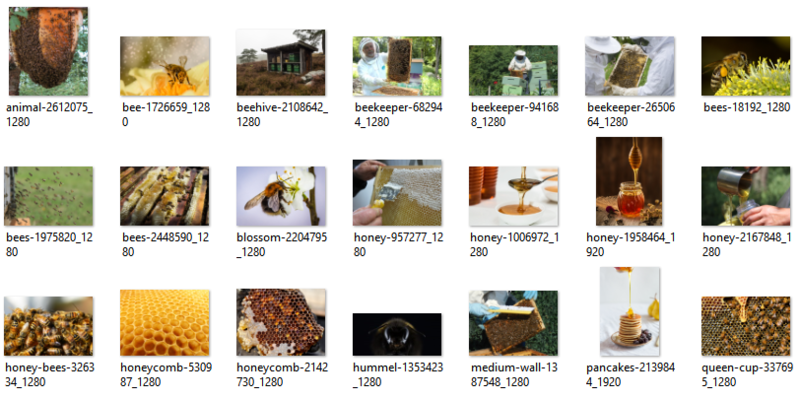 I’ve come up with 200 long tail keywords all related to beekeeping – making money from beekeeping. You’ll find some of these are what people like to call low-hanging fruit keywords while others have more searches.